There was an attempt at the 18-player redraw to try and Pay the Bubble but it failed, and hand-for-hand play commenced. 15 hands later, the remaining 17 players are in the money, the mincash $770 and $11,262 up top. All but the final two minutes of Level 17 burned during Bubble Play, so a break kicked in by the time I wrote this out. 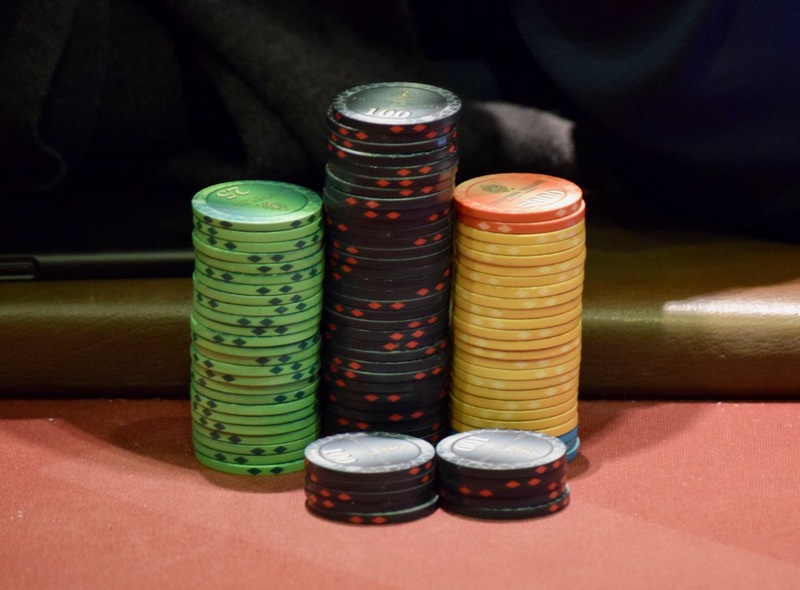 Players are on a 10-minute break as JohnQTD colors up the blu 500-chips. When play resumes, action moves to.